In the in-building DAS connectivity world, progress is often viewed through the lens of enabling pervasive data connectivity for all employees working in a particular building at a given time. However, the impact of smart buildings and Internet of Things (IoT) in general, will have a potentially greater impact on in-building networking requirements going forward. 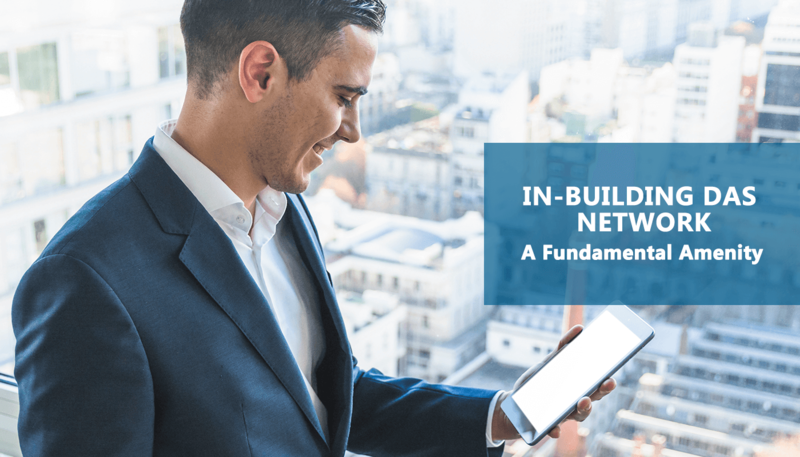 Although many building owners are starting to view the quality of their in-building cellular network as a fundamental facility, there is still a sizable sentiment within the commercial real estate industry that connectivity is a tenant and/or cellular service provider issue. As the Internet of Things (IoT) continues to proliferate, properties that do not have an adequate in-building network infrastructure to support applications and services in the 5G era will find it difficult to compete for tenants. Naturally, no one in the real estate ecosystem wants this to happen. As the next phase of in-building wireless connectivity unfolds, below are few recommendations to help support new and/or ongoing deployments. Large venues: Despite the fact that most airports, large malls, and entertainment venues have at least partial DAS installations and some level of public Wi-Fi connectivity, owners of these properties must take the next step. This includes becoming more aggressive deploying complete DAS networks that will offer a migration path to 5G. It also means working with an ecosystem of partners that will help deliver a premium experience to attendees. Neutral Host investment models are needed: Although large, marquee venues can often attract a major wireless carrier to lead investments into DAS and other in-building connectivity solutions; there is a quick drop off in carrier willingness to invest in venues that do not fall into the “largest venue” category. In these cases – which represent approximately 95% of commercial real estate throughout the world – stakeholders need to consider Neutral Host Models that will help to spread the cost of comprehensive in-building networks among a number of investors that stand to benefit. Technology providers must step-up to make investments count: If a material investment hurdle into next-generation in-building wireless networks is a fear on the part of building owners and/or tenants to invest in technology that can be rendered obsolete before the investments can be adequately depreciated, then technology providers need to work with investment stakeholders to ensure that investments made today remain relevant as the market moves towards 5G. In many cases, this means providing technology with logical and flexible evolution paths from the current state of the art to future developments (i.e. 4G/LTE to 5G). However, beyond this, it can mean working with building owners to help schedule investments in a way that creates attractive ROI models for both the short and long-term.